Greenwich Village is one of New York City’s prime location for residential living. Home to well-known celebrities—some of the real estate in this location far surpasses the million dollar range. Greenwich Village has beautiful townhouses that span blocks of tree line streets, historic apartment buildings, and popular restaurants. Water damage in this location can cost thousands of dollars. That’s why it’s important to be aware of the signs of water damage before it starts, and when prevention is at the highest. Climate Change has caused erratic weather all over the world. New York City is not immune to its destructive path. Floods caused by the climate can wreak havoc on homes, resulting in loss of property and income. Hurricane Sandy has reminded us that a superstorm can penetrate any city’s foundation. Water Damage in Greenwich Village can also be caused by a burst pipe. Pipes can break, like anything that’s made. It can break down with age over time, it can break down because of abuse. A pipe that’s weighed down by heavy materials can break and cause a huge flood. A leaky pipe can be sinister in its creation until the pipe is ruptured completely and cause a massive flood. Regular checkups are important in the prevention process to make sure that your home doesn’t become a victim of water damage. If you notice a spray from a pipe every time you flush or turn on the water, now is the time to get that fixed. Burst Pipes: Pipes can get old and rotted over time leading to a rupture. Or when faulty equipment is used to make the pipeline, it can give out. Drain backups: When heavy weighted items (toys, paper towels, sponges, etc.) go down the drain it can lead to backups or worst sewage leaks. Tree/Root growth: Roots can grow erratically. And sometimes that growth happens by a pipeline and can break the drain system leading to a flood. Dirty gutters: After a storm, it’s important to clean the gutters. Over time, uncleansed gutters can be weighted down and lead to leaks in the roof, which can cause a flood. Household Items Malfunctions: Washers, dryers, and dishwasher can have faulty waterlines and break, leading to a flood. When you notice that the flood is unfixable by yourself, then is the time to call a team of water damage specialists to rectify the situation. 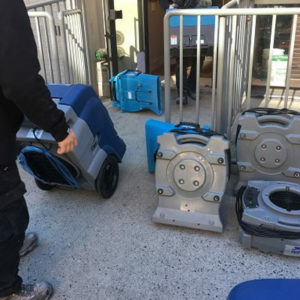 At Water Removal NYC, we are those water damage specialists. We are open 24/7 with emergency service. We know that life mishaps don’t have a timetable, and that’s why we are here to handle the urgent cares. We inspect your home with our water damage sensors before we start any new Flood Restoration project. That way we are more efficient and effective! Mold Remediation- Mold tends to appear after a flood. The remediation process is the removal, cleaning, sanitizing, demolition, or other treatment, including preventive activities, of mold or mold-contaminated matter that was not purposely grown at that location. Water Mitigation – The first thing that our company does is inspect every corner to see where the water has seeped through. Our top of the line water mitigation equipment, extracts water from all foundations, leaving you a dry home. Dehumidification- One of the things that are often overlooked is air quality after a flood. This process purifies the air from any toxin or chemicals, allowing it to flow freely once more. Reconstruction- We restore your home back to pre-damaged conditions faster and more efficient than the next company. Water Removal NYC treats Flood Restoration like an art. Therefore, don’t let water damage in Greenwich Village get you down.